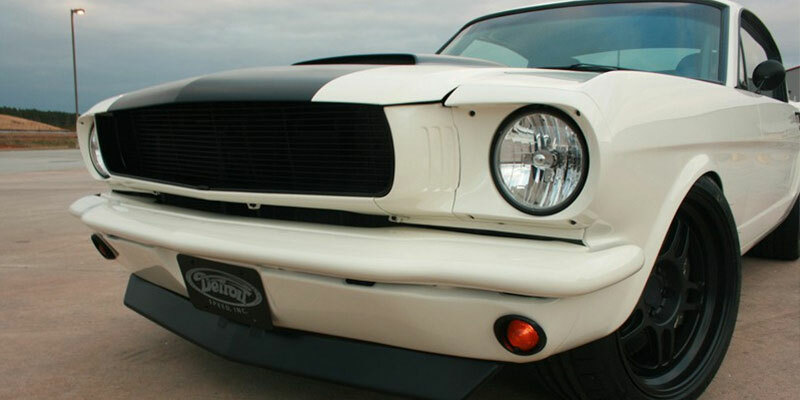 This 1966 Ford Mustang got a second chance when Detroit Speed made it the official test car for DSE’s line of 1964.5-1970 Mustang products. This solid vintage model became the testing grounds for DSE to design, test fit, install, and evaluate new products on this style before they’re sold to the public. 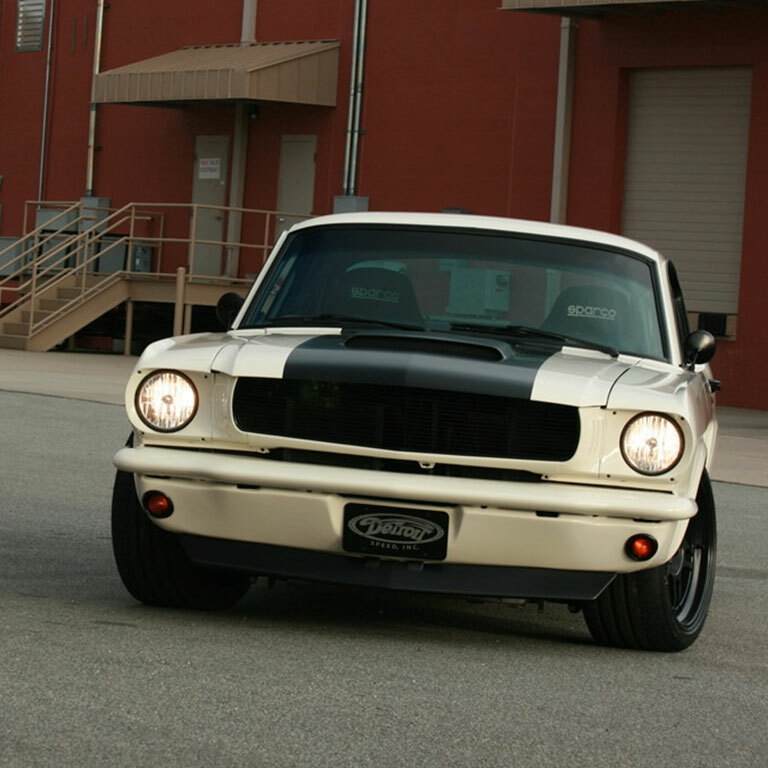 It went into their garage as a solid vintage car and came out as a retro rocket with new suspension parts. 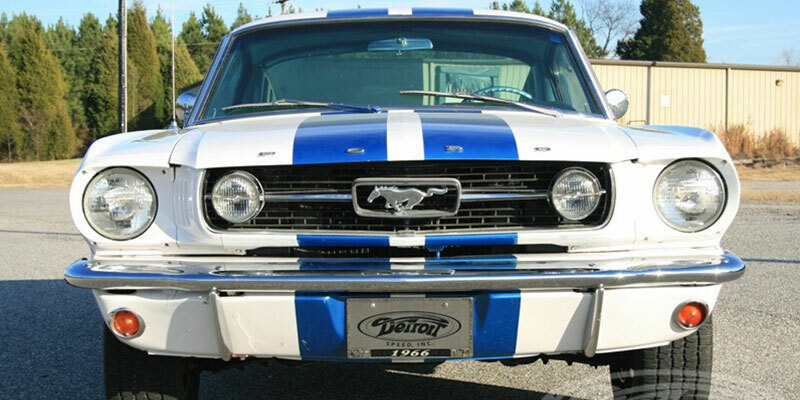 This particular Mustang was purchased from a history of museum ownership and rarely driven before Ron Lyon took it home. 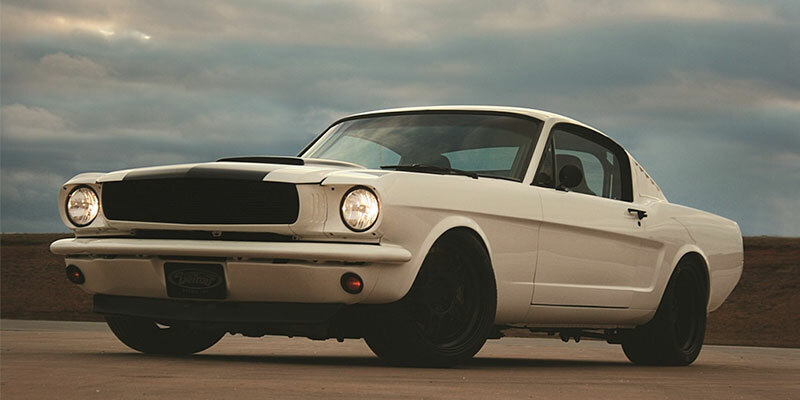 After six months of tune-ups and evening cruising, Detroit Speed’s Kyle and Stacy Tucker took the Mustang to the track for some baseline numbers to get started on its new life as a DSE test car. 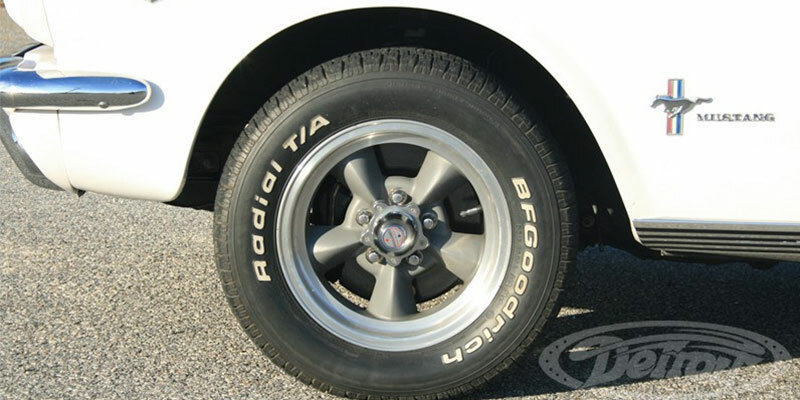 Their goals for its new suspensions included increased structural rigidity, high strength, and the more modern ability to fit wider tires. 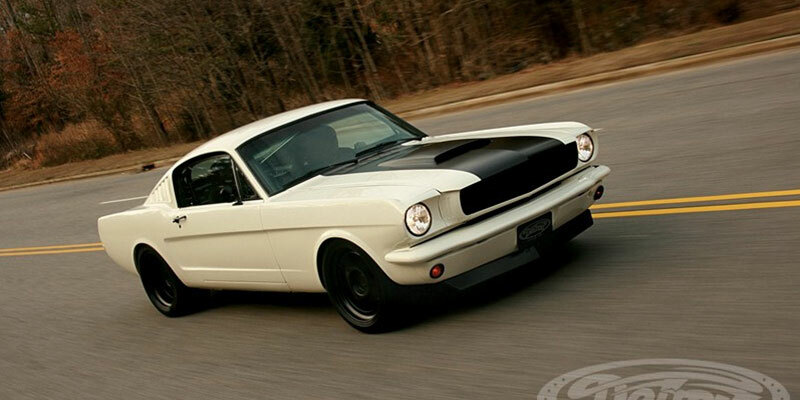 To accomplish that, the 1966 Ford Mustang test car received a cast aluminum cradled called the Aluma-Frame. This cast-aluminum cradle is similar to the hydro-formed framerails seen in DSE’s other products: it’s another first in the aftermarket suspension world, and it also relies heavily on OE design implementation. The front cradle is made to be extremely strong and easily sandwich the stock front framerails. There’s also a DSE bolt-in engine mount kit to fit small- and big-block name-brand engines. 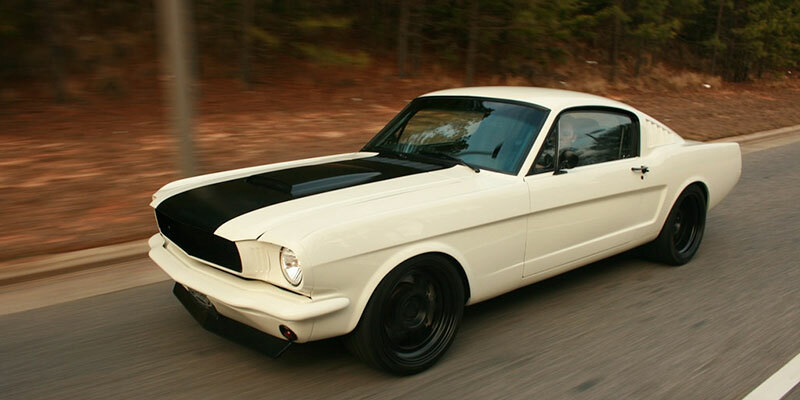 However, Detroit Speed chose to fit this particular 1966 Ford Mustang with a Boss 302 Roush Yates engine instead. 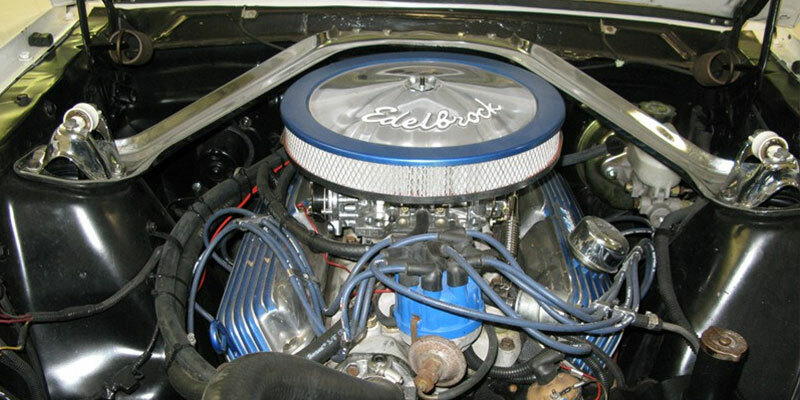 This engine is paired to a Bowler-prepped Stage II Tremec Magnum 6 Speed transmission. In the rear, Detroit Speed used the QuadraLink suspension product that should be familiar to anyone following DSE builds. 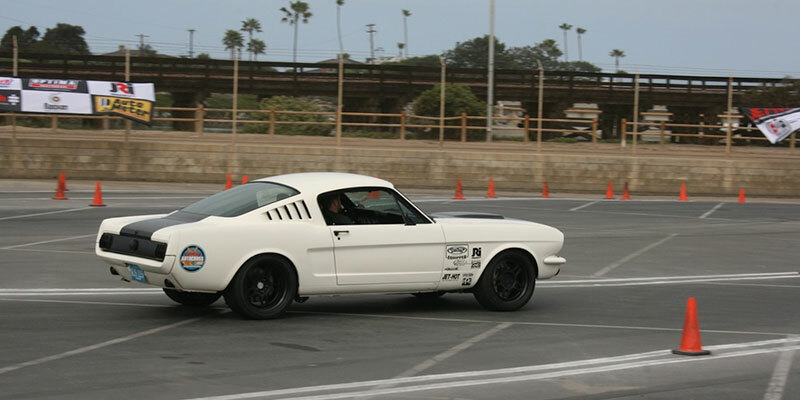 They revised the suspension’s architecture to fit the Mustang, and even considered a three-link setup, but in the end it was decided that the QuadraLink keeps the Mustang easier to drive at the edge. 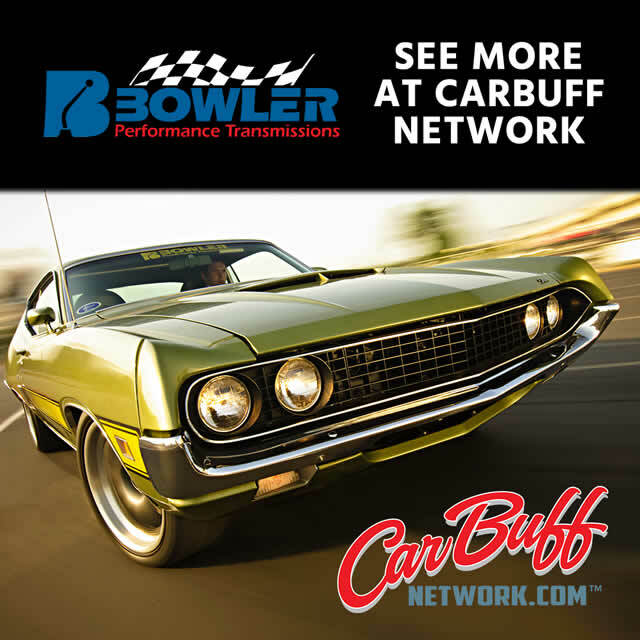 Its finished form also includes wiring by American Autowire, Baer brakes, a C&R Racing, Inc. cooling system, a Centerforce clutch, shocks by DSE/JRi, and a battery from Optima Batteries.